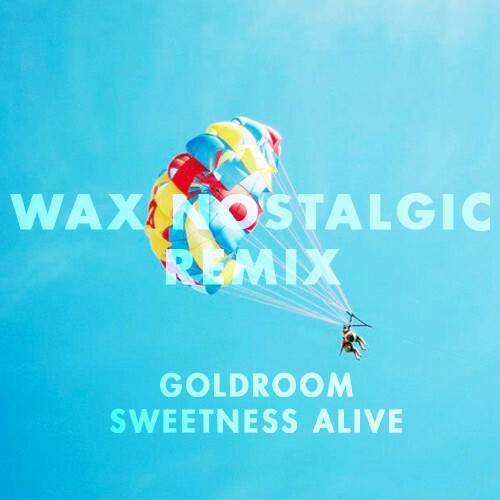 As good as the original was, I always knew in the back of my head that Goldroom's "Sweetness Alive" had great potential to be remixed by someone special. Enter Canada's Wax Nostalgic or David Hayes as he's known to get the job done. There's a certain amount of nostalgia associated with his remixes and this one is no different. I didn't think it was possible, but the wonderful vocals performed by Saint Lou Lou shine even more brightly in this stripped down version. You can instantly tell that David was looking to enhance their vocals with his selection of atmospherics. Certainly less dance-y, but all the more relaxing.